What equipment do I need to shoot bands successfully? 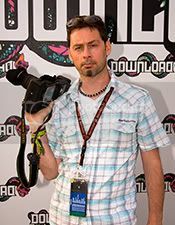 The most important thing to consider for any photographer shooting live music is the speed of the lenses used and the low light performance of the camera body. On the other hand, the most important thing to consider for a photographer shooting studio-portraiture is probably the pixel count on the camera sensor along with the type of lighting used. 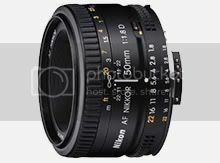 Lens choice too is important for the studio photographer as depth of field becomes more important in the creative sense. The D700 extends Nikon’s range of FX format SLRs, incorporating groundbreaking technologies and performance into a discreetly-sized body. The highly sensitive 12.1 megapixel CMOS sensor provides an (extendable) ISO range of 200 to 6400 and features a self-cleaning dust-reduction unit. Its EXPEED image processing engine enables the capture of images with superb detail and tonal gradation at up to 5 fps (8 fps with the optional MB-D10 battery pack and EN-EL4a battery). The advanced Scene Recognition System delivers superior exposures and is supported by Nikon’s acclaimed 51-point AF system, which offers outstanding tracking accuracy even in low light. 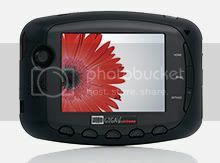 The selectable Picture Controls streamline in-camera image processing, saving time in post-production, and a high definition 3-inch LCD screen supports two Live View modes plus an HDMI video output. Protected by a tough, environmentally-sealed magnesium alloy body, the D700 is a perfectly-balanced DSLR that can handle the unexpected, wherever your photography takes you. The D300 defines a new class of compact professional SLR, incorporating groundbreaking technologies and performance of the D3 into a compact DX format body. The 12.3 megapixel CMOS sensor features a self-cleaning dust removal unit and delivers resolution suitable for commercial and stock photography. The EXPEED image processing engine supports a class-leading 6fps at up to 3200 ISO, and delivers superb tonal gradation. Its advanced Scene Recognition System produces superior exposures and is complimented by Nikon’s next-generation 51-point AF system, which offers broad coverage and high sensitivity in low light. Selectable Picture Controls streamline in-camera image processing, saving time in post-production, and the high definition 3-inch LCD screen supports two Live View modes plus a HDMI video output. 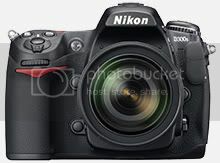 Responsive, rugged and light, the D300 offers new levels of performance for pros on a budget.. 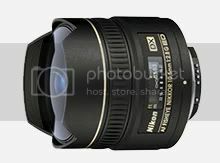 The Nikon 14-24mm F2.8G ED AF-S lens is an extreme wideangle, fast aperture lens with a revolutionary optical design. This remarkable professional lens features a Nano Crystal coating to reduce the effects of ghost and flare, and delivers edge-to-corner sharpness that can surpass that of equivalent fixed focal-length lenses. 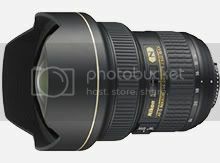 14-24mm zoom range features SWM (Silent Wave Motor) for whisper quiet and fast autofocus combined with ED glass to minimize chromatic aberration. The lens has a rubber mount seal to cope in all weathers and has instant manual focus override for those moments where you have to take control (M/A or M switching). ED glass to minimize chromatic aberration. Closest focusing distance is 0.38 m (at 50 mm). The lens has a rubber mount seal to cope in all weathers and has instant manual focus override for those moments where you have to take control (M/A or M switching). 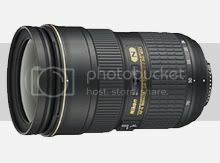 The Nikon 70-200mm f/2.8G ED-IF AF-S VR lens is a compact, lightweight G-type fast telephoto zoom lens with the added benefit of Nikon Vibration Reduction (VR). It features built-in SWM for ultra-fast ultra-quiet AF operation. Nikon VR operation offers the equivalent of using a shutter speed 3 stops (eight times) faster than non-VR mode. Two VR modes are available…Normal and Active. 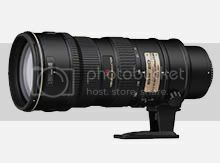 This lens is constructed using five ED glass elements and is a triumph of engineering excellence. 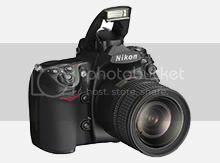 The Nikon SB-900 Speedlight is a professional i-TTL Speedlight compatible with Nikon FX and DX format SLRs. It is part of the Nikon Creative Lighting System which means it can be triggered remotely and controlled wirelessly from the camera body. This powerful Speedlight offers photographers extensive creative opportunities for their flash photography. Three illumination patterns – Centre-weighted, Even and Standard – provide total control over flash coverage and it covers a class-leading auto zoom range of 17-200mm in just 1.2 seconds. Advanced features include a booster circuit that enables high-speed recycling using four AA-type batteries and a built-in thermal protection system to warn of excessive heat build up. The SB-900 can automatically detect the presence of a fluorescent or incandescent color filter and transmit this information to the attached camera’s white balance setting, and its firmware can be upgraded via the camera body. 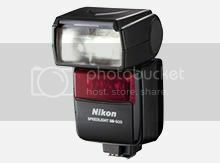 The Nikon SB-600 Speedlight is a mid range flash compatible with the Nikon Creative Lighting System. Featuring Nikon’s latest i-TTL monitor pre-flash metering technology, the SB-600 offers a powerful but attractively priced main flash for general photography. 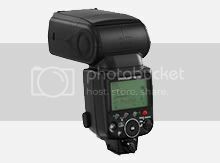 The SB-600 also offers fully automatic exposure control when used in groups with other Speedlights, controlled either by a Master SB-900 or the ‘Commander’ function of compatible Nikon camera bodies. This sppedlight features simplified buttons for ease of use and it’s packed with practical functions to meet the lighting needs of the most creative digital photographers. It has a Guide Number of 30/98 [ISO100,m/ft], 42/138[ISO200,m/ft] (at 35mm zoom) with auto zoom of 24 to 85mm. It features the same wide area AF Assist Illuminator as the popular SB-800. The Dell™UltraSharp™ Flat Panel LCD Monitor redefines the performance of LCD displays with its stylish design and advanced functionality. The monitor offers resolution of up to 1680×1050 pixels and also provides an ultra fast response time to enable crisp clear images when using the display for fast motion video. It also offers high contrast ratio of up to 800:1 that generates sharper, crisper lines and images while, the wider viewing angle allows you to view the screen from various positions without compromising image quality. Wacom is the most widely-known pen tablet manufacturer, and have an excellent reputation which is well-deserved. 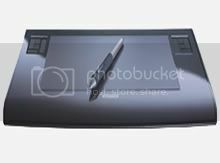 In 1989, Wacom introduced the first cordless, battery-free, pressure-sensitive pen, and their Intuos3 is the third generation of Wacom’s professional line of graphics tablets. Intuos3 supports tilt control and 1024 levels of pressure sensitivity). Every MacBook Pro starts its life as a single block of aluminum. Each block is precisely machined into the basic unibody design. The top case is completely seamless. And it’s surprisingly thin and light. With an edge-to-edge glass overlay, the new LED-backlit display is instantly bright and incredibly thin. Its 60 percent greater color gamut means you benefit from richer, more vibrant colors. An ambient light sensor activates the illuminated keyboard in low-light conditions. It also controls the brightness of the display. The glass Multi-Touch trackpad feels as good as it functions. From the smallest detail to the biggest engineering breakthrough, the new MacBook Pro truly is the next generation of notebooks. The Sekonic L-358 light-meter has been designed to meet the challenges and demands of today’s film and digital photographers. 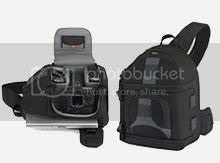 It offers versatile functions, to accommodate the most critical and precise photographic shooting conditions without sacrificing ease of use and affordability. It offers superior performance with new, redefined standards for precise, multi-function exposure and analyzing controls. The L-358 measures exposure accurate down to a tenth-of-a-stop for both ambient and electronic flash light readings (in full-stop mode). The meter can also display shutter-speeds and apertures in half or third-stop increments to mirror the exposure settings on your camera. Compact, sturdy and highly functional: The new mobile Photo-PC JOBO GIGA Vu extreme is the successor to the award-winning GIGA Vu PRO evolution, and offers some new functions. In addition to the card slot for CF, also included is an adapter for SD/SDHC for fast image and data transmission. GIGA Vu extreme is available with disk capacity from 80 GB to 160 GB and is compatible with the new JOBO photoGPS. GIGA Vu extreme is a compact alternative to a notebook for large quantities of photos, videos, audio and other files. Transfer speeds of up to 1GB in 2 minutes from the camera memory card to the device is assured. A bright (280 cd/m2) and large (3.7″) VGA display allows an extremely comfortable assessment and viewing of pictures without a PC, with excellent quality. The LowePro SlingShot 350 AW is perfect for the photojournalist who wants a sling-style camera bag that allows easy access while wearing, plus room for a notebook. The ergonomic sling strap evenly adjusts weight and easily rotates from back to front—making it simple to work out of the bag. The roomy main compartment is outfitted with adjustable, padded dividers to customize up to a pro-sized camera kit. Additional features include: padded waist belt, mesh back pad, All Weather Cover™, built-in memory card pouch and microfiber LCD cloth, silent zipper pulls, Hypalon® SlipLock™ attachment loops, plus accessory pockets for easy access to personal items. A padded compartment fits most 15.4″ notebooks.